Sweet Verizon deal has the Galaxy S9 at $300 off, no bill credits, today only! After doing it to the Galaxy Note 9, now Verizon unleashes its deal kung-fu on the unsuspecting Galaxy S9, and there are no bill credits involved. Today only, you get the phone for just $17.50 over a 24-month installment period with the carrier's Device Payment Program. 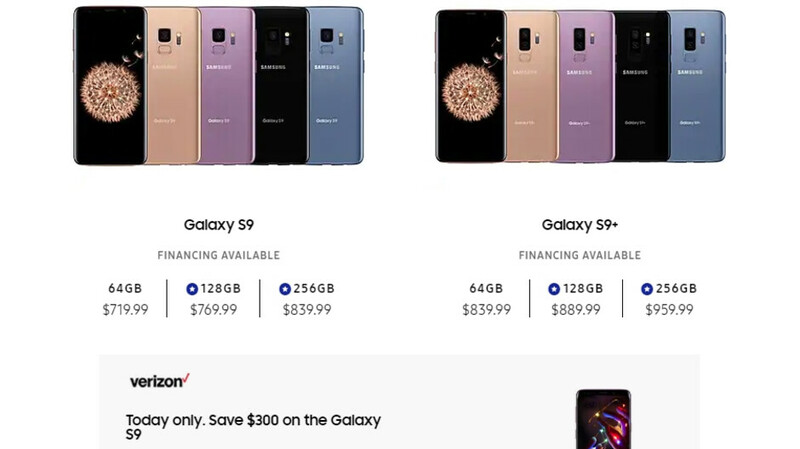 Running the math, that means Verizon knocks off $300 off the Galaxy S9's retail $719.99 in an instant discount, and over the course of your eligible two-year service plan the phone will amount to just $419.99. Not the very lowest we've seen for an S9 but a very decent deal nonetheless, and if you trade in an older phone it can be knocked down even further. The best part - there are no bill credits involved but the deal will be valid only for today for some reason, so hurry up if you are interested. Some are even able to tack on student discounts on this deal to bring the final price down to $372. 'Tis the season.